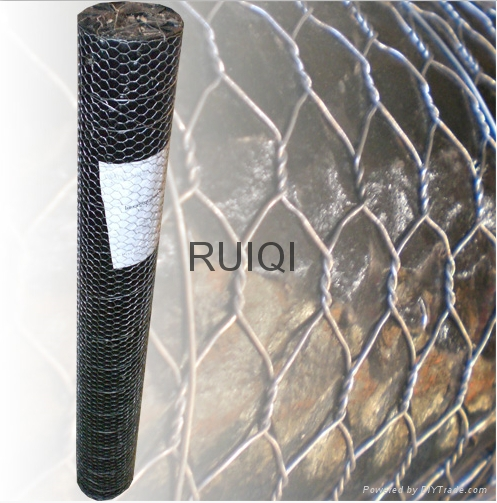 Chicken wire, also known as poultry netting, is a mesh of wire commonly used to fence poultry livestock, such as chickens, in a run or coop. 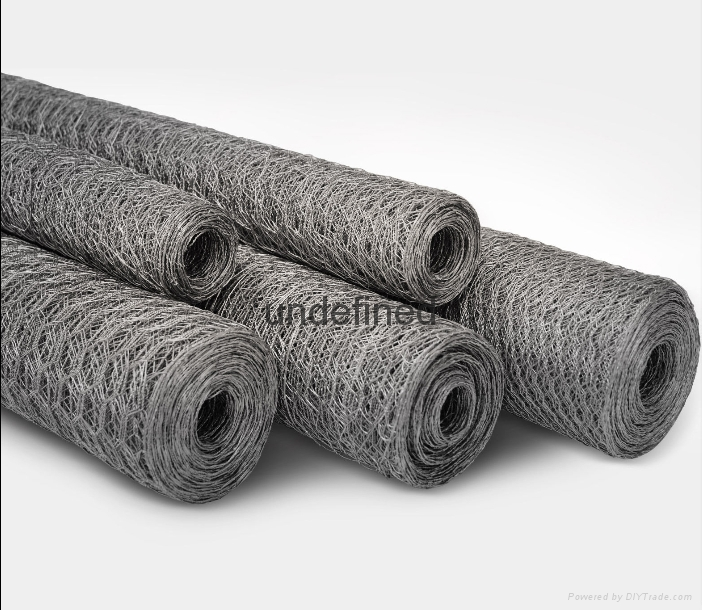 It is made of thin, flexible galvanized steel wire, with hexagonal gaps. Chicken wire is occasionally used to build spacious yet inexpensive cages for small animals or to protect plants and property from animals. 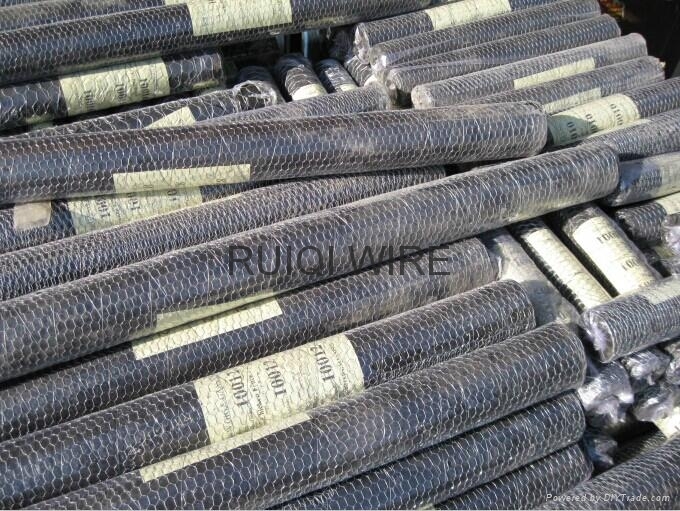 In construction, chicken wire or hardware cloth is used as a metal lath to hold cement or plaster, in a process known as stuccoing. Concrete reinforced with chicken wire or hardware cloth yields ferrocement, a versatile construction material. stainless and brass can be supplied per customers' request. 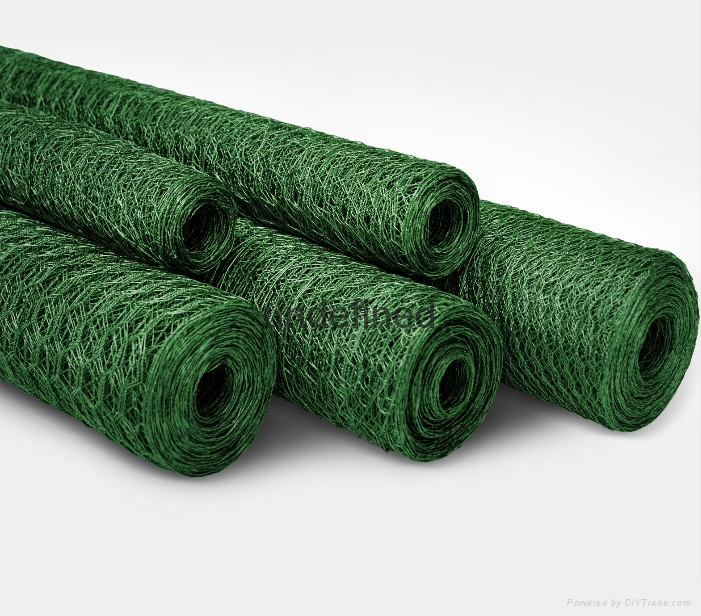 Roll length is available from 25m upto 500m, but only for the width less than 1200mm.